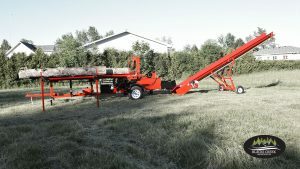 Blacks Creek manufactures quality and affordable firewood processors, equipment and conveyors. 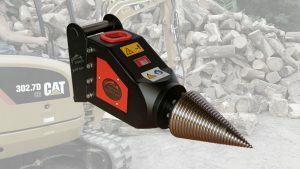 Our design principle is simple, make our firewood processors and equipment rugged, reliable and good value for your money. Firewood processors and equipment reduce fatigue, are easier on your knees and back, and much quieter than a chainsaw. Best of all, our firewood processors and equipment will allow you to cut over a 128 cubic feet of firewood an hour. Cutting firewood is not just a job. It’s about being outdoors, working with nature and being self-reliant. Blacks Creek firewood processors and equipment ease your life’s work so you can focus on output. Nothing beats the satisfaction of standing back and admiring that big pile of wood you just cut! Blacks Creek Innovations believes in sharing the many benefits of living in North America with people less fortunate. We donate a portion of our profits to charity and provide direct support to community development around the world. Blacks Creek is very pleased to partner with HOPE International Development Agency – together our organizations empower good hard-working people to improve their quality of life. Donate Today. Off-the-shelf brand name parts allow for easy replacement when required. Blacks Creek provides product support and maintains a full stock of parts. Blacks Creek’s simply designed firewood processors and equipment offer the best competitive value for your money. Financing is available. Whether you produce firewood for home or business our complete line of equipment and options will make your life a whole lot easier. Produce over a cord (128 cubic feet) per hour with Blacks Creek firewood processors, equipment and material conveyors. I am very satisfied with my 1500 – it is very fast. With one man it works great while a two-man team allows for extremely high production. l did a custom cut for a farmer with an outdoor furnace. 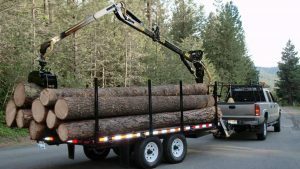 We cut 3 / 8 hr days the average log size was 10″ & 12 ft long we cut @ 22″ long & split in half , with 4 guys , 1 feeding me with a S130 Bobcat Skid Steer, me running the processor & 2 guys piling (14 ft high) in the wood shed off of my 35ft chain conveyor. We cut for a total of 24 Hrs & did 42 Bush Cord. l was able to keep the 2 guys busy between piling & sawdust clean up. I parked the processor in front of my wood shed and brought the logs to it. The shed holds 20, 16″ cords and it only took us 6 hours to fill. There was no problem to get help doing the firewood this year! I have cut roughly 400 cubic cords with this unit, without any delays. Thanks to Blacks Creek Innovations Inc. for your unit and your open door customer service. A friend of mine normally cuts and splits firewood with the help of his father and brother, two saws, one splitter. They usually manufacture 12 tandem loads a year. I brought my processor to the farm to show them how to work smarter, not harder … 7 days of work – 11 tandem loads in nice heaps.